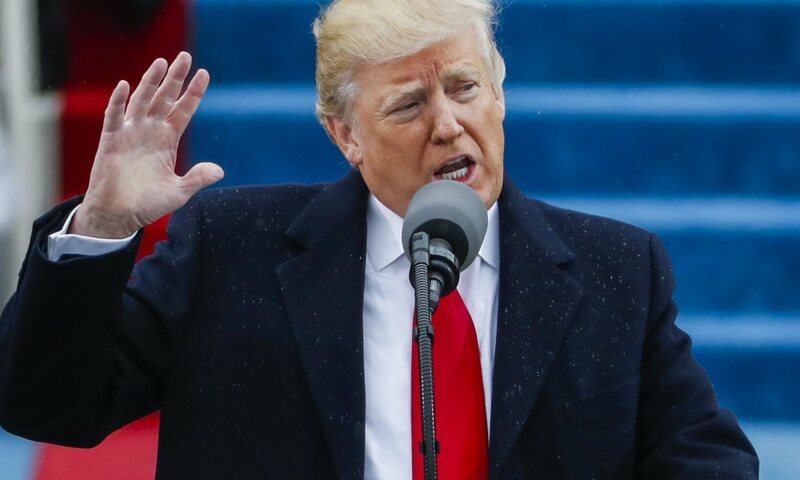 Trump’s inaugural speech was a speech for the ages: The Dark Ages. If you couldn’t bear to watch it, you can gag your way through the full transcript here. I watched and took notes. And what struck me was his repeated use of the language of demagoguery. It was an angry, sabre-rattling, self-congratulatory and alarmingly nationalistic speech that offered a very dark view of America today. It was a speech that could have been delivered in 1933 Germany, when that country was in terrible shape after the devastation of World War I and at the onset of a worldwide economic Depression. That view, quite simply, does not jibe with the America of 2017, where unemployment is down, and the economy and the stock market are up. But Trump always plays to anger and resentment, via the false populism of a rich guy pretending to be the voice of the people. He offered no positive vision or hope, no acknowledgment of previous presidents’ accomplishments, and no awareness that this was his inauguration, not another campaign rally. If you closed your eyes and listened, you could envision this speech being delivered in Moscow’s Red Square, simply by substituting “Russia” for “America.” It was a sickening display that portends troubling days ahead. The speech’s only positive attribute was that it was short, as Inaugural speeches go. But that’s because Trump himself is short on ideas. This is what authoritarians, dictators and demagogues sound like. We have now been warned, officially, and in no uncertain terms.